While he does not generally receive mainstream hobby love, Grant Hill rookie cards and memorabilia have a near-cult following, which ensures good values in the years to come. Hill is one of those players that does not carry superstar status, but almost everyone knows who he is and respects his game. 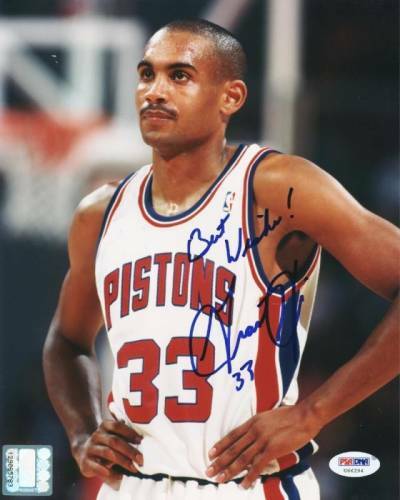 Despite his popularity and long career, Grant Hill had very few autographed cards until he was added to 2010-11 Panini products. He has also signed for Upper Deck products, so collectors should be able to find plenty of autograph options between the two brands. While 1994-95 sets don't carry as much value as those issued later in the decade, card designs began to see significant changes. This allows for several great-looking Grant Hill rookie cards, and most still remain very affordable. 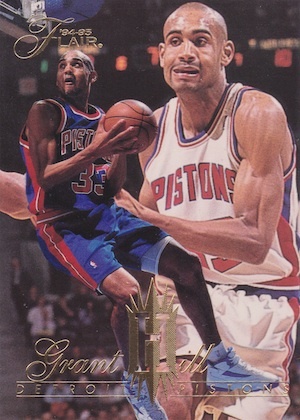 Grant Hill has 15 rookie cards that mostly fall in the low-budget category. However, the trio below sticks out as the best options for collectors. 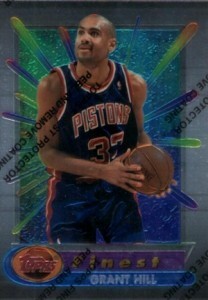 View the most popular Grant Hill card listings on eBay. Shop for specific cards on eBay using the links below. 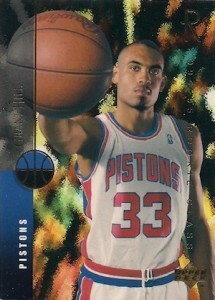 Gold and silver foil combine with a young Grant Hill to make a great rookie option for collectors. 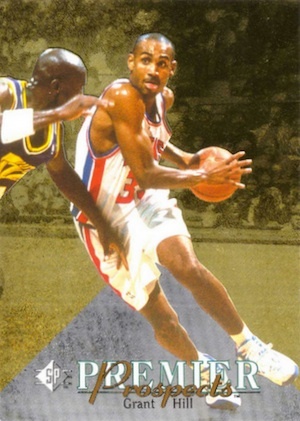 Although the gold and silver colors clash, the action image in the foreground makes Grant Hill seem to pop off the card. Grant Hill's Flair rookie card features a refined design that properly highlights the young rookie. The home and away jerseys utilized in the two images contrast nicely and the gold foil text adds a high-end touch. 1994-95 Finest represents the top option for Grant Hill card collectors. Lots of color and a metallic rainbow effect make for an exciting card. The highest values can be found with the Refractor parallels. ALLEN IVERSON 96-97 NBA Hoops GRANT HILL'S ALL-ROOKIE TEAM ACETATE ROOKIE RARE ! 1994-95 Fleer Ultra All-Rookie Grant Hill #2 Detroit Pistons "Very nice card"
1994-95 Classic #4 Grant Hill RC Duke Rookie Card! 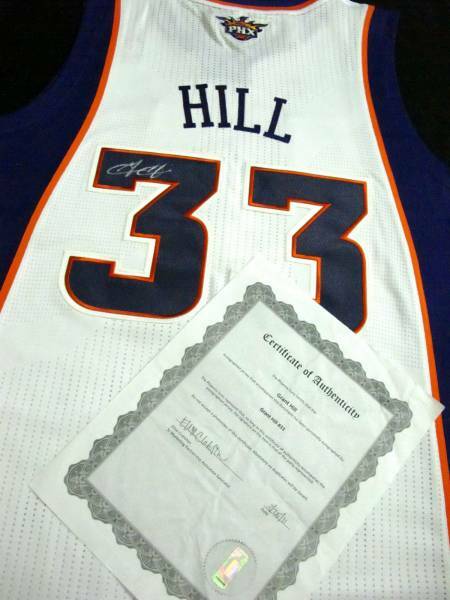 Below you will find an example of what Grant Hill's authentic signature looks like. This can be used as a first point of reference for determining the legitimacy of autograph memorabilia, but is not a substitute for having your items authenticated by a well respected professional autograph authentication company. Reputable authentication companies include JSA, PSA, Panini Authentic, Upper Deck Authentic, Tristar and Mounted Memories to name a few. Signed on a relatively even horizontal plane, the signature may exhibit a slight downward angle. The letters lean to the right at about 50 degrees. The letters "G" and "H" are the main component as many other letters are implied. The letter "G" consists of two parts, made all in one pen stroke; the first part looks like a printed capital letter "M" and the other looks similar to a cursive capital "J." Out of this letter is a line with a slight squiggle in it, implying the letters "r-a-n-t."
The pen continues into a letter "H" formed with two parallel lines. Again, the stroke appears like a cursive capital letter "J" as in the first name. A dot is usually present implying the letter "i." The letters "l-l" are not written. Grant Hill signed autographed basketball! RARE! JSA Authenticated!